What he told me was that he was shocked to discover that the group of physical therapist’s had very little knowledge of barbell training – and strength training in general, for that matter. The fact is, most PT’s are NOT trained in strength training, barbell training, kettlebells or performance at any level. 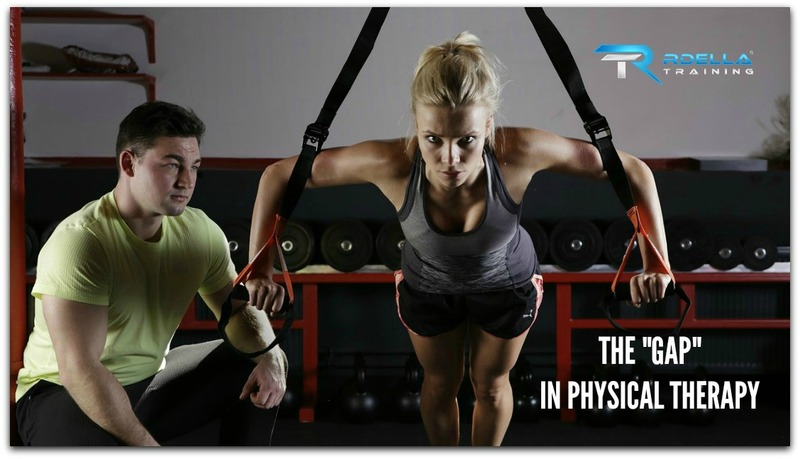 PT’s are trained in great detail in human anatomy, physiology, neuro-physiology, biomechanics, pathology, motor control theories and many disorders and dysfunctions of the human body. PT’s are extremely well-educated and trained in the areas of physical rehabilitative care and restoration. For the majority though, strength training and performance enhancement is truly an “educational gap” in the background and training. I remember my own education in graduate school for physical therapy. I still shake my head when I think about the mere “30 minutes” that we spent in the gym during our 3-year Master’s of Physical Therapy (MPT) program to get a quick overview of resistance exercise. We went to our school gym during our “therapeutic exercise class” and got a quick education and 30,000 foot view about resistance exercise – and that was that. I didn’t gain any insight into strength or performance training in any way, to be honest. Yeah, it was a “gap” in my education, for sure. Overall, my graduate educational experience was phenomenal and I graduated having real confidence in the clinical setting as a PT, but there was clearly an educational “gap” in regards to the science of strength and any real understanding about it’s importance. What allows some PT’s to be successful as both a strength coach and PT? Remember, I said the tide is changing. With my personal situation, having the background of weight training and spending countless hours in the gym lifting weights prior to physical therapy school gave me a much different lens to view the PT approach. And, of course, I was a physical therapy patient myself (*I went through extensive physical therapy to rehabilitate my back injury). But having the gym experience made a huge difference – although I didn’t know much back then by comparison to the knowledge I have acquired through today. Even though most PT’s still probably don’t truly understand strength, it’s not their fault. It’s not covered in the curriculum for the most part. Today, I will say that there are many exceptional PT’s that have emerged as successful “hybrids” of the PT and strength coach. There are several great PT’s who are truly great strength coaches and vice versa (although I have heard some rather negative comments about how the overwhelming majority of PT’s don’t know jack about strength – I would disagree because the trend is now changing). 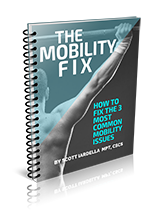 For some time now, there has been a growing movement with the hybrid coach and rehab specialist (although, let’s be clear, they are different roles). The role of the strength coach is to get people stronger and help them perform better. The role of the rehab professional is to help people restore function, get them back to baseline and prevent further injury. This hybrid coach is a “new breed” of performance specialist. The new breed coach is a true hybrid who is able to effectively combine their knowledge and background in strength training and performance with a rehabilitative perspective. The new breed coach has a strong background and understanding in strength and performance training. They have also been able to combine their own experience in the “strength and conditioning” world with their educational experience of injury prevention and rehabilitation as a physical therapist. This is a valuable combination that can provide a significant edge in human performance for a variety of reasons. It is essentially the “best of both worlds” in the understanding of how the body works and integrates to perform and a high level – and do that in the safest way possible. Specific examples of this new breed coach range from the “well-known” to the “up-and comers” who are all truly making a difference in training and performance, as well as injury prevention and restoration. These professionals know strength training. And, these professionals know about preventing injury and rehabilitation. Quinn, would you say there’s a “gap” in the physical therapy curriculum as it relates to strength training? I think that going into PT school, from my perspective with a strength and conditioning background, I was disappointed. I don’t think that physical therapy school is necessarily set-up for that. They tell you from the beginning that you’re going to be a generalist, but I think what would be beneficial for the students is that they have a chance to specialize earlier in PT school. If students want to go the sports-rehab or the sports medicine route or work with athletes, they should have some type of curriculum to integrate that. Whether that would be classes on strength training or higher level exercise progressions that we don’t necessarily get in school. I don’t necessarily blame physical therapy school about this, but I do think that there is room to improve the current situation. And I don’t blame PT school either. But, I think there are solutions to this “gap” as you just mentioned. Here’s the second half of my question though. When I think about what makes you successful – and others such as Kelly Starrett, Gray Cook, and Charlie Weingroff. These names are what I call the “new-breed” of performance specialists. They are the true “hybrid” PT and strength coach. My question is – what do you attribute to successfully integrating and combining the background as both a strength coach and physical therapist? I think that if you look at those names that you just listed, the common denominator is the fact that strength and conditioning – as a standalone entity – was either a part of their background already or it was an adjunct to the clinical curriculum in physical therapy school. I think learning and taking what you get in the strength and conditioning world and then realizing that a lot of those principles are based in science, also have applicability to the PT clinical setting. Then, you must know how to integrate that experience or knowledge within physical medicine. I think that is what’s made those individuals so successful. They can take the two worlds and put them together. And, then also make that information digestible to the public. This was great insight from Quinn that you just read. That leads me to this. Every so often an aspiring PT reaches out to me to ask about how to be successful as a strength and rehab professional. But, here’s a few points to consider. 1-First, understand the roles of each. A strength coach and a PT have different roles and it’s important to understand the scope of each. *When I was looking into PT school many years ago, one of the first things I did was volunteer in a clinic for several hours to get experience and learn about the role of PT. Looking back, this was invaluable experience and greatly helped when I eventually went into practice. 2-Once you understand the roles, settings and scopes of each, follow what you’re most passionate about. The educational demand for both roles is significant. The formal education for pursuing a PT degree (now a Doctor of Physical Therapy degree) is quite extensive and very competitive. Education for strength coaches is also quite extensive and demanding. Consider the options carefully. 3-Find mentors and role models (“live” or virtual) and learn from them. This can accelerate things faster than anything else. Find the right people and get around them. 4-Read, learn, and get experience. Read books, attend workshops and seminars, and be sure to take the right certifications and continuing education courses. Be a lifelong learner. This is what makes coaches great. The PT can eventually become this “new breed coach” by getting out there and learning. They can attend seminars and workshops in barbell training, kettlebell training, and other areas. They can learn about strength and learn to lift. Find out who are the best strength coaches and go and learn from them. It’s also critical to read great books and apply the principles of training with the many great learning resources that are available today. 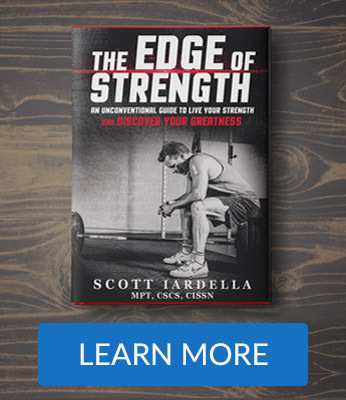 For a clinician that is just starting out in their strength education, pick up one (or all) of these books for a fundamental, essential, and extensive introduction into the importance of strength. These books will be a phenomenal start for any clinician and there are so many more that I could list. This doesn’t mean you’re an expert by reading a book or taking a weekend seminar or course, but it’s a great start. It’s a process and a never-ending journey – for all of us. In previous conversations with Dr. Kelly Starrett, he has directly attributed a large part of his success to the amazing coaches, athletes and experts that he has continued to surround himself with through the years. Kelly, of course, is massively successful in what he has contributed to the industry. Get around the right people and learn as much as you can. The strength coach coach who truly wants to integrate physical therapy or rehabilitative training really only has one option if they want to be a PT. That option is to apply to PT school and go through the formal educational curriculum to become a licensed physical therapist. It’s a long haul, but I have recently seen some other top coaches who have decided to do just that. They have decided to go back to school and “bridge the gap” between their strength training background with a physical therapy education. One such person who immediately comes to mind is Chad Waterbury. There will be a new focus here. As I wrap this up, I’ll be turning to a new chapter on Rdella Training. 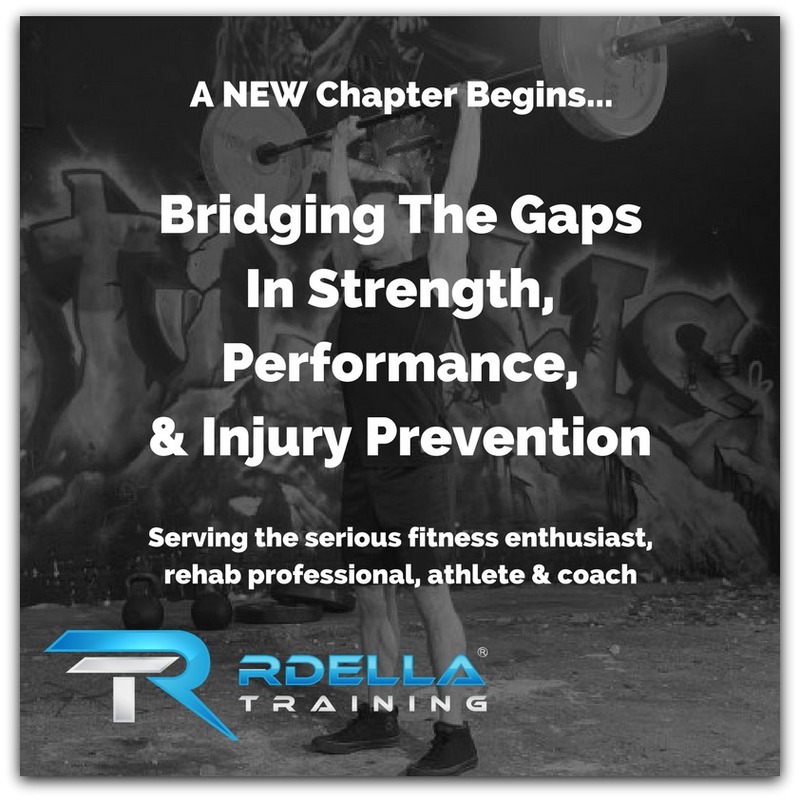 What I’ll be focusing on is “bridging the gaps” between a rehab perspective (my background and education in physical therapy) with evidence-based strength and performance. While I do NOT practice as a physical therapist anymore, I will forever be a “physio” in the way I approach human performance. I will always be a “physio” at heart and in my mind with how I look at movement and strength in the human body. I cannot unlearn what I have learned. Truthfully, how I do things today is what I had always envisioned as a practicing physical therapist. I don’t put my hands on people anymore to manipulate joints or soft tissue with manual techniques. I teach. I educate. I coach. I teach people how to move better, move stronger, while minimizing – or completing eliminating – risk for injury. The goal is to empower people to take control. My approach integrates many facets of strength training (hardstyle kettlebell training, powerlifting, Olympic Weightlifting), but everything is done with a smart, strategic plan to maximize performance and minimize risk for injury. It’s movement-based, performance enhancing and injury reducing. It truly is the “new breed” approach that I have discussed in this article. Moving forward, we’ll be focusing much more on the hybrid approach to strength, performance and injury prevention where we share – and teach – the best and most successful methods and techniques to achieve high performance while keeping injury prevention at the forefront. We will “bridge the gaps” in the science and practical applications of strength and injury prevention. More science, more teaching and training, and more practical applications. This means that you can achieve better results as safely as possible. I’m very excited about this new chapter and I think you’ll love to see what’s coming! Make sure to follow @RdellaTraining on Instagram for high value tips, training, and education. Have a question or something to share, please go to the community page here: RdellaTraining.com/ask. Let’s thank Dr. DeLorme for his influence in rehabilitation with the development of Progressive Resistance Exercise! Aaah, good point! DeLorme indeed. 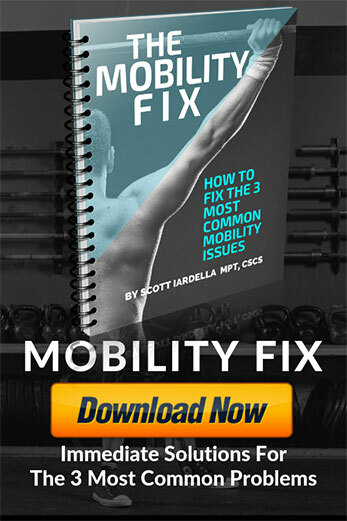 Now I have the info to help my family and friends, clients when they complain that their “PT ain’t getting my needs.” So many of the people I know give up on their PT because of the lack of strength training….that Ive alway known why, anecdotally from my own experiences, but didn’t have the back up to support.